Does Facebook's Newsfeed Patent Threaten Social Media? ed about a user of a social network." In the most basic terms, this means Facebook has patented technology that delivers the stuff filling up your newsfeed like shared links, videos and Wall posts. 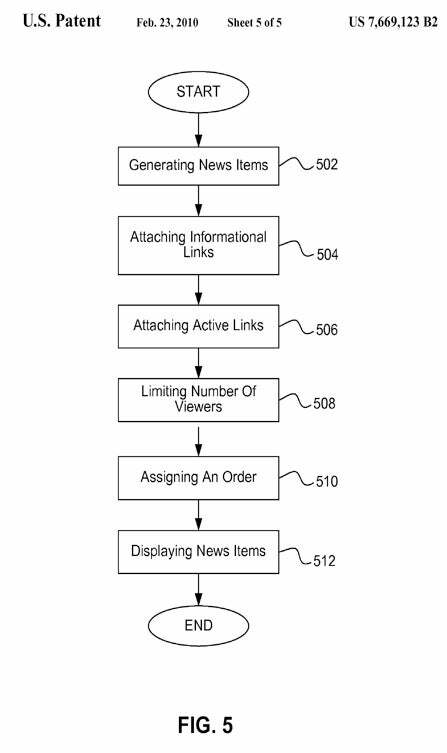 All Facebook, the blog that originally uncovered the patent, says the patent does not apply to status updates, but only to "implicit feed stories." ReadWriteWeb envisions a possible scenario where some of these popular social networks could fall prey to Facebook's intellectual property rights. "If offering a stream of updates of the non-status messages of friends is something Facebook alone could deliver, that would be a major loss for the rest of the social web," Marshall Kirkpatrick wrote for RWW. Venture capitalist and blogger Fred Wilson decried the patent by arguing that the U.S. Patent and Trade Office should stop awarding software rights altogether. "Software patents make no sense. Like music, art, and other creative pursuits, software is almost always derivative work. There is not a chance in hell that Facebook invented this idea," Wilson wrote. Of course, this is not the first broad patent that's been awarded to a technology company. Early last year, the blogosphere was up in arms over a patent awarded to Apple Inc. for multitouch technology. The big question at the time was whether Cupertino now owned the rights to touch technology in general. In fact, many wondered if Apple's patent would provoke a litigious showdown between Apple and Palm over the Palm Pre's multitouch features. Fast forward to a year later, Apple and Palm have not ended up in court over multitouch; however, there are rumors that Google and its Android partners have not implemented multitouch on devices sold in the U.S. like the Droid and Nexus One because of Apple's patent. But that may be about to change with the launch of the HTC Desire. The thing is, getting a patent is easy, but proving you deserve to hold onto that patent is something else entirely. 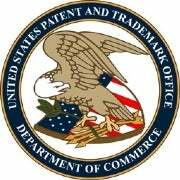 As Stephen Henry, a Boston-based intellectual property attorney told me last year, there are checks and balances to the patent system and courts have the power to invalidate patents if the invention is proven to be particularly obvious. Even smaller companies can fight back, with the help from groups like the Electronic Frontier Foundation and its Patent Busting Project. The EFF's PBP is dedicated to fighting purportedly frivolous patents like one-click online shopping, online shopping carts, the hyperlink and paying with a credit card online. The EFF tries to invalidate claims like these, because the EFF believes overuse of patents can threaten free expression and exposes those without the means to defend themselves to lawsuits from large corporations. "Our patent system has historically relied on the resources of major corporate players to defeat bad patents," the EFF says. "Now it leaves these new defendants with few if any options to defend themselves." Facebook may have secured its patent for now, but the real test will come when or if the social network has to defend that patent based on its merits.